I was going to write an entire tutorial on “How I Glaze My Furniture” but instead I’ve decided to take it easy. No long tutorial. No fancy staging. 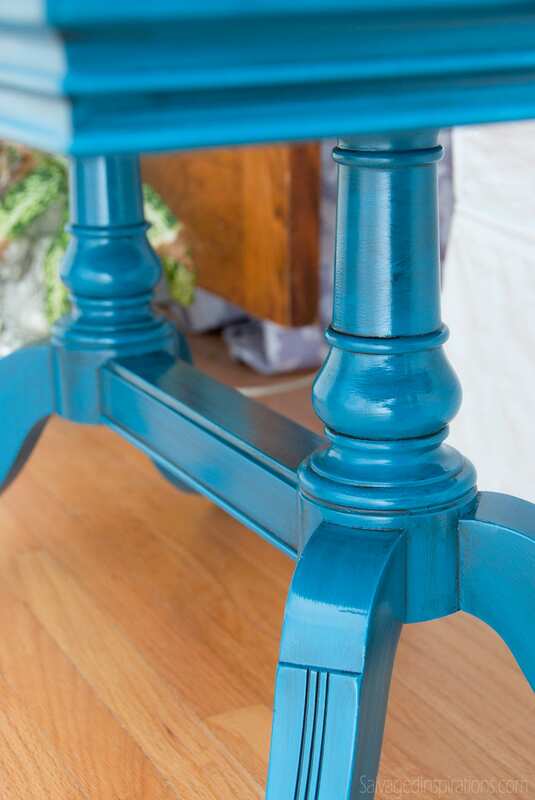 Just a charming painted and glazed Deilcraft Occasional Table. But before I show you the table, I’m excited to share one of my Birthday presents with you. 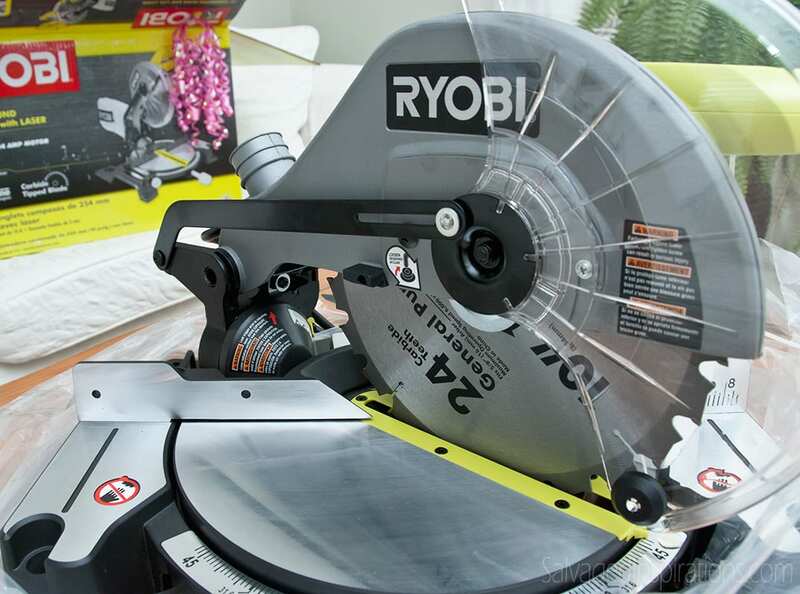 A new Ryobi 10″ Compound Miter Saw. 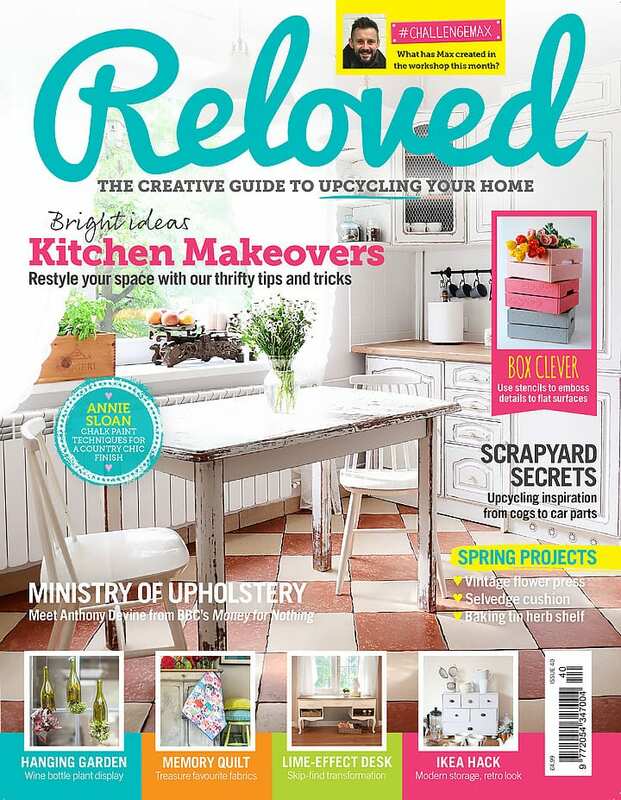 Now I can add extra detailing and moulding onto my furniture!!! I can’t wait to start using this! And if any of you tool ‘masters’ out there have any advice/tips on using this baby… feel free to chime in below. I’m all ears and eager to learn! If you follow along on Facebook, you may recall I posted this before pic below. I was asking what the push-spring-thingy was for. Can you guess? There were a lot of interesting and inventive responses, but only a handful of people knew what it’s really for. 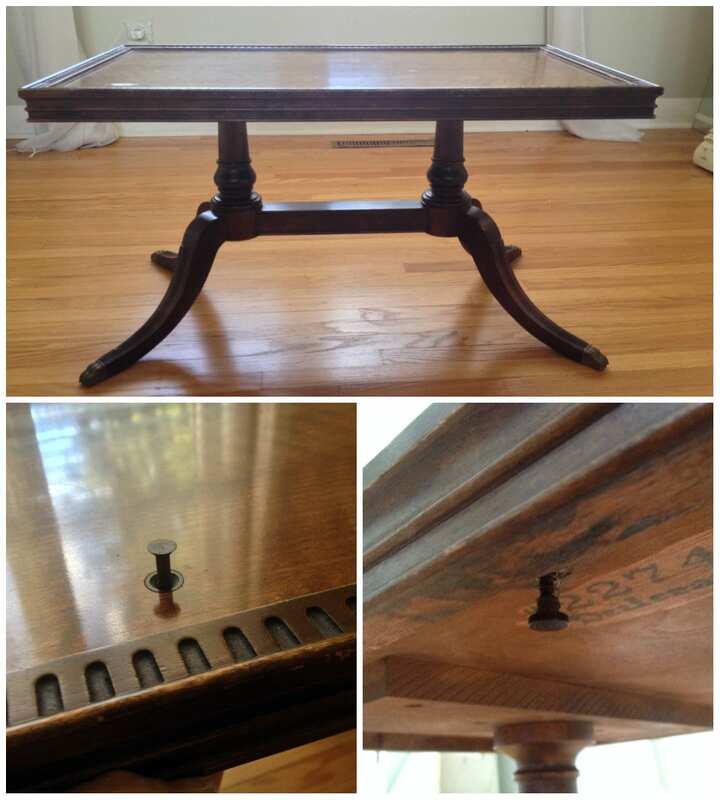 This push-spring is for lifting up a glass insert ( which this little table would have originally had) for easy cleaning. Brilliant! I learn so much from you guys! So here’s the after. 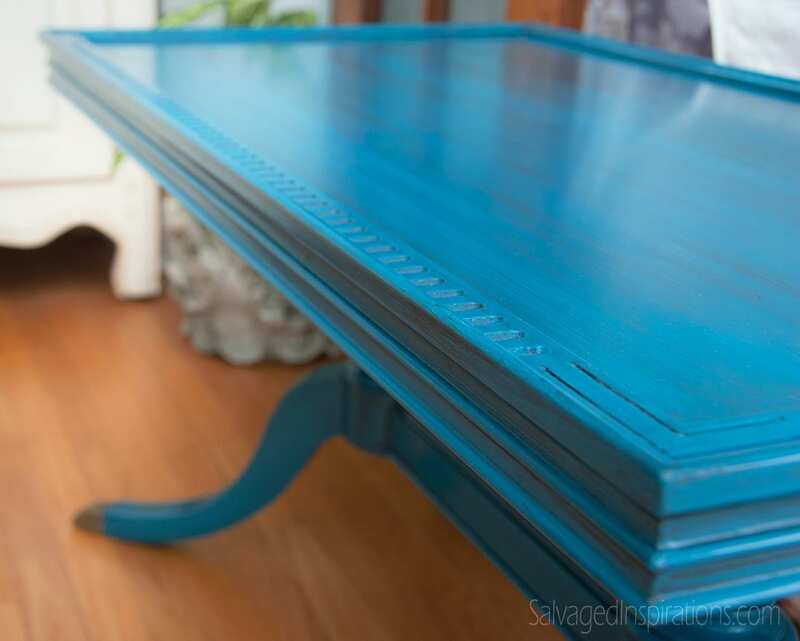 This Deilcraft Occasional Table was re-styled in a Custom Turquoise Blue and heavily glazed in black for an antiqued patina. A few coats of high gloss Minwax Wipe on Poly were added for shine. So let me know what you think in the comments below. Do you like glazed furniture? Do you prefer glazing or dark waxing to get that antiqued look? I’d love to hear your thoughts. I hope your day is filled with goodness and have fun-relaxing weekend. Very pretty Denise. Happy belated birthday, wishing you health & many years of successful furniture make-overs. Happy Birthday! I asked for the same saw for Christmas! 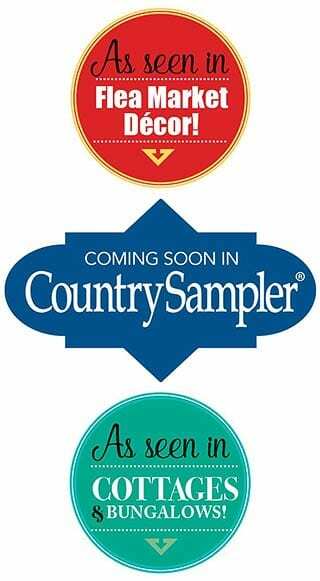 So many projects waiting on the right tool! Congratulations. Hi, I am looking for the Tip on making your paste wax smooth as butter. 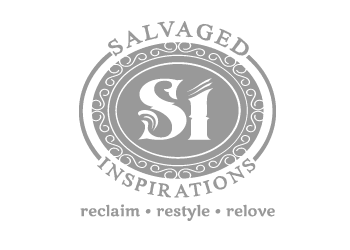 I saw a picture with a quote that said mixing it with I think it was mineral spirits with the wax but I can’t find it in your Tip’s Tuesday blog. Can you please help me with finding the instructions on doing this. I always have a hard time with the waxing. I appreciate your help. I agree Denise glaze is best with a paint that is none porous. 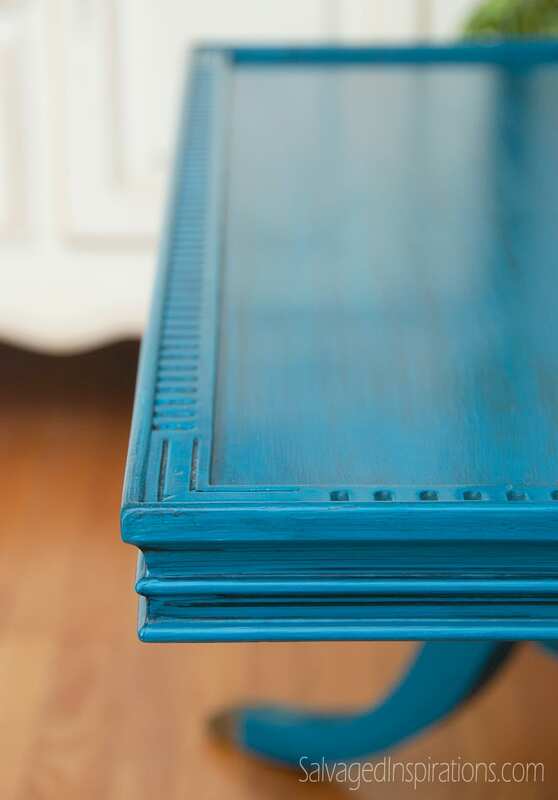 It will soak in to the chalk/milk paint to much for you to be able to control the tone. If you want to use glaze on top of porous paint you want to seal the paint first with a clear coat. It is ok to use on porous paint but your original color will be much darker. It is nice to have glazing choices for a customer. Some times they prefer the not so aged pieces. 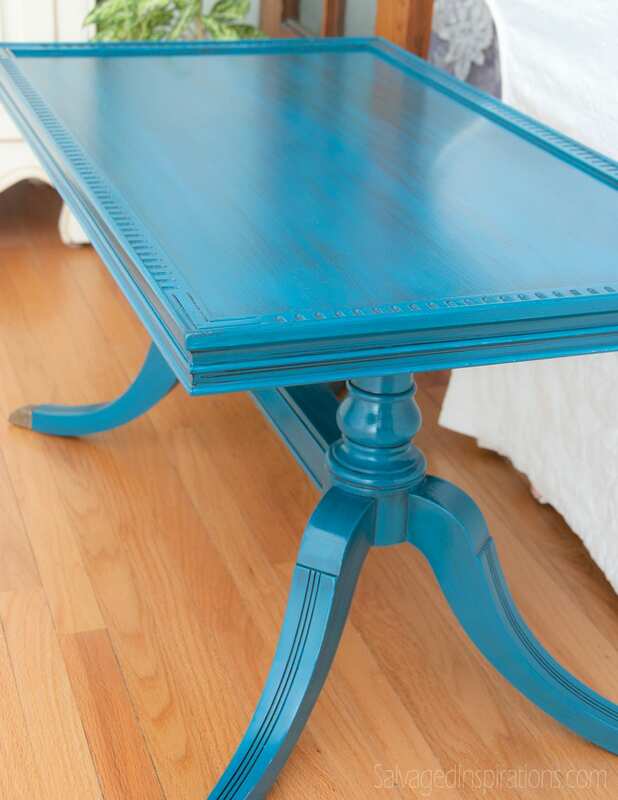 Also they could have a mistrust of chalk paint and want a more familiar product. I love using wax but I hate that it can’t be painted over. It can ware off and has to be reapplied. Once you sell a piece that was waxed do you tell them they have to re-apply at some point? Happy Birthday Denise!! So glad you are on the mend. I’m thrilled for you with your new compound miter saw!! Whoa, that’s sweet! This is beautiful and love the color. I have only done glazing and also did a clear wax on a coffee table and debating to put a darker wax on it. Glad you are feeling better and Happy belated Birthday…great present! Thanks Judy! 🙂 I don’t really have a preference between glaze and wax. Both can add so much dimension to a piece. I find I prefer waxing on porous paints ie milk-paint/chalky paint and I prefer glazing on acrylics/latex. Beautiful as usual! Happy Belated Birthday! Happy to hear you’re on the mend!